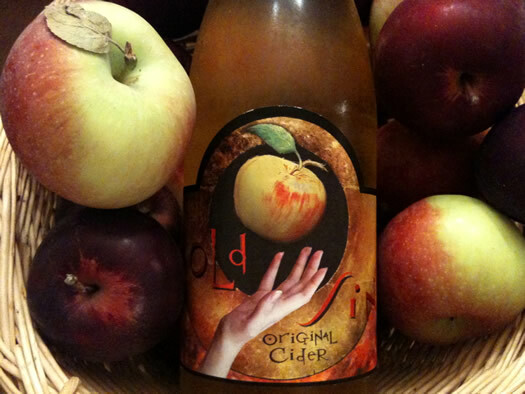 Autumn in the Capital Region is great for a lot of reasons -- many of them involving cider. Hot cider, hard cider, cider donuts. And now, cider cocktails. Nine Pin Cider Works in Albany has a new tasting room with a New York cider cocktail menu. So we thought it'd be fun to get together a tasting of cider cocktails there on October 25. Local distillers Derek Grout (Harvest Spirits) and John Curtin (Albany Distilling) will be there that evening mixing Nine Pin cider cocktails, as well as discussing their spirits and their cocktail creations. Derek Grout from Harvest Spirits in Valatie and John Curtin from Albany Distilling Co. in Albany will show us all how to make four cocktails, and they'll talk about using cider and other spirits in new cocktails. They'll send you home with recipes so you can mix your favorites yourself. You didn't think we'd mix up cocktails and not drink them? Each ticket will include four Nine Pin cider cocktails mixed with locally-made spirits. Each drink will be paired with a local snack: cheese, fruit, nuts -- things that pair well with the cocktail. Guests will get a tour of the cider works with founder Alejandro del Peral to see how Nine Pin is made, bottled, and canned. There will be a surprise, locally-made seasonal dessert. The Nine Pine tasting room will be also pouring that night, and the company's different cider varieties and cider cocktails will be available for purchase. And of course, you'll get to enjoy it all with other fun AOA people. The event is Tuesday, October 25 starting at 5:30 pm at the new Nine Pin tasting room at 929 Broadway in Albany. (The class and tasting will get started at 6 pm.) It's a 21-and-over event. Early bird tickets (purchased before the end of October 15) are $25 and available online. After October 15, tickets are $30. Space is limited for this event, and we expect it to fill up, so buying early will both save you a few bucks and ensure you get a spot. Nine Pin advertises on AOA. 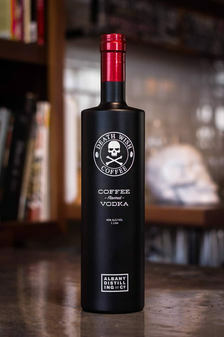 The latest local beverage collaboration: Albany Distilling Company and Death Wish Coffee have teamed up to create a coffee-flavored vodka. And there's a release party for the product of the collaboration this Saturday, April 30 at Olde Saratoga Brewing Co in Saratoga Springs. Vodka blurbage: "Our most recent joint project has been a long time in the making - Death Wish Vodka. This silky smooth coffee flavored vodka is balanced by roasted choclate and just a touch of sweetness." The release party is from 2-6 pm. There will be samples of the vodka, and bottles available for sale, along with beers on tap from Olde Saratoga. Also lined up: music from The North & South Dakotas, Angels on the Fourth, and Better Pills. Tickets are $5 ahead / $10 at the door. Bottles of the vodka will be available on retail shelves starting Monday, a spots such as Empire Wine and Exit 9 Wine and Liquor. Apple season has arrived. And when we think of apples our thoughts also turn to cider. 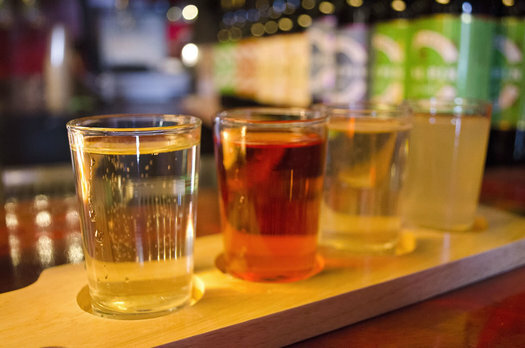 Taste four Nine Pin ciders: Signature Cider, Belgian Cider, Blueberry Cider, and Ginger Cider. Ciders will be paired with samples of cheeses fruits, veggies and charcuterie from farms and orchards both local and from around New York State, along with Saratoga Crackers. The Nine Pine tasting room will be also pouring that evening, so more of your favorite Nine Pin ciders will be available for purchase. And of course, you'll get to enjoy it all with other fun AOA people. The event is Thursday, October 1 at the Nine Pin tasting room on Broadway. It's 21 and over. Early bird tickets (purchased before September 15) are $15. After September 15, tickets are $20. Space is limited for this event, and we expect it to fill up, so buying early will both save you a few bucks and ensure you get a spot. Soon to be under new ownership. AOA is taking things a little easy this week for summer break. So we thought it'd be a good time to catch up with some local businesses we've covered during the last year (or so) and find out how things are going. But our last post of the week flips things a bit -- we're looking to the future of a local business that's changing hands. 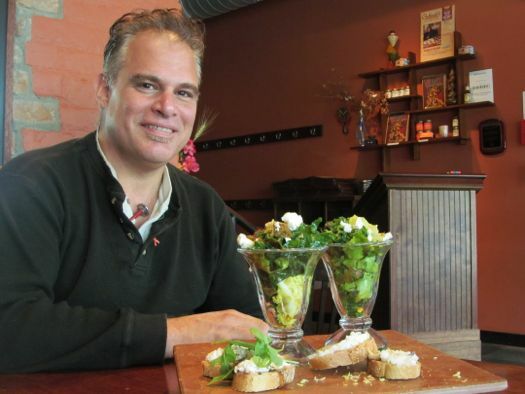 Nine years ago, chef Kevin Everleth opened The Wine Bar and Bistro on Lark and turned a small wine and tapas bar into a popular neighborhood jewel. The food was always delicious, the staff was always welcoming, and the wine selection was always varied and interesting. Lilly has never owned a restaurant, but she's been working in Capital Region restaurants for more than 20 years and she's passionate about the business. And she's excited about carrying on the business Everleth founded. Next up: a look at Brew. Almost exactly one year ago Joshua Cotrona, who owned the Fuzz Records shop at the corner of State and Lark in Albany partnered with August Rosa to turn the space into Brew, a beverage shop featuring craft beer and specialty coffees. The idea came up when we realized the need for a craft beer outlet in the Center Square neighborhood. We decided to expand the offerings to include coffee, teas, and other beverages down the road. Our shop will help residents in downtown Albany skip a trip out to the suburbs for these items. 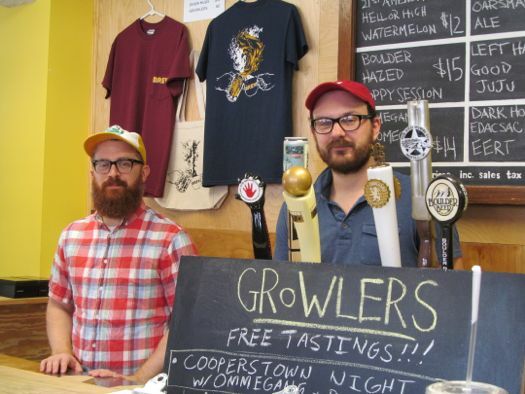 A year later, they're still there educating customers about craft brews, hosting tastings, and balancing their dreams with the wants and needs of a constantly changing neighborhood. I'm looking for someone who is interested in teaching a small group (2-4) people about wine once a week for around a month. I have two small children and attending a wine class out in the world is difficult, so I'm hoping to find someone willing to come to my home and share their love and knowledge of wine. Perhaps a sommelier at a local restaurant or a wine shop employee would be willing to provide private classes, but any suggestions your readers can provide would be greatly appreciated. Got an idea for Lauren? Please share. Update x3: The new batch of tickets has now also sold out. Thanks for all the interest! Update update: New tickets have been released! Update: The event is currently sold out! But we've arranged for more spots and we'll release them Monday at noon. Some restaurants have a special table in the kitchen where you can watch the chefs prepare your meal, and maybe even ask a question or two. So why not have a whole party there? AOA is going to do just that. New World Catering has a new space on Delaware Avenue with a bar and an open kitchen, and on Thursday, December 4 AOA is hosting a holiday cocktail party there with New World chef, author, and Chopped champ Ric Orlando. We'll have food, signature cocktails, craft beers and locally-sourced wines. Here's a peek at the menu and how to get tickets. 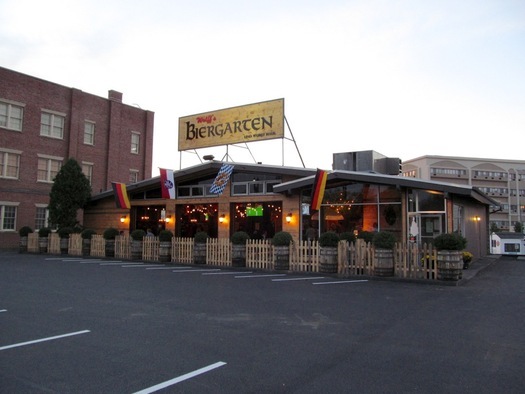 The new new Wolff's Biergarten in downtown Schenectady opens Wednesday around 4 pm. This Wolff's looks a lot like the Albany location, but it's larger, with three garage doors, more picnic tables, lots of flat screens for viewing soccer matches, and the requisite indoor faux tree. The building has been vacant for about ten years. It started out as a service station and last belonged to KEM cleaners. If the Erie Blvd location seems strange, Matt Baumgartner says, it is a little. 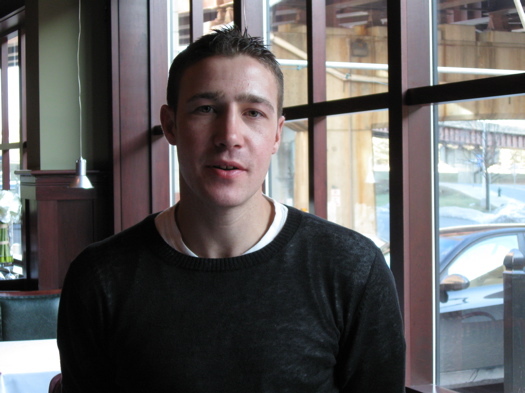 "I think that's also consistent with Wolff's in Albany, which opened before there was much down in that area. And hopefully it will grow the same way." Renovations on Erie Boulevard and recent growth in Schenectady were encouraging factors, he says. And the building itself interested him. "It was really affordable, and I love an old, sad building -- and this one was really sad. But I knew you could have garage doors, and having the garage doors is a real asset. People love them." So with a Bombers and a Wolff's, is there going to be a Schenectady Sciortino's too? Baumgartner just laughs. "Well, that's a good question. There's an empty building across the street." After the jump, a look inside Wolff's Schenectady. National Tequila Day is Thursday July 24. Does anyone have some good suggestions as to where to celebrate after work? Anybody have thoughts about where to get a good Margarita, Mule or Texas Two Step -- or just some straight tequila in the Capital Region? The leaves have turned, the sun's setting earlier, and the air grows colder. It's wine season, folks. Time to hide from the cold by crowding into a cozy winery and warming yourself with sips of Riesling. 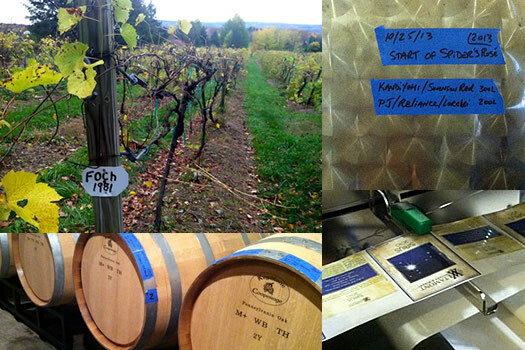 And, as it happens, a winery might be closer than you think. The Altamont Vineyard & Winery -- llocated along the Albany/Schenectady county line -- is a small venue that's been in operation since 2006. But its grapes were established long before that. Schumer was joined by Golden Harvest Farms owners Alan and Derek Grout as he launched his proposal, the CIDER Act (Cider, Investment & Development through Excise Tax Reduction Act), to update the definition for hard apple and pear cider in the Internal Revenue Code (IRC) that would increase their allowed alcohol by volume from 7 percent to 8.5 percent, encompassing significantly more hard cider products and allowing them to be labeled and taxed like hard cider, rather than wine. Schumer's proposal would also address existing tax issues related to carbonation levels in hard cider, and would put the new definition in line with that of the European Union, so producers can better compete with European products abroad. Hard cider is a value-added product that is sold around the same price every year; therefore hard cider gives producers a stable source of income when apple crops suffer due to weather and other unforeseen factors. New York apple producers are increasingly interested in producing smaller, artisanal batches of hard cider, but cite the cost and difficulty to comply with the IRC definition as significant impediments to expanding their businesses. New York is the second largest apple producer nationwide, harvesting a total of 29.5 million bushels annually from over 650 farms and 41,000 acres across the state. In recent years, thanks to the growing popularity of hard cider, many apple producers have turned to producing this craft beverage as a method to keep apple orchards profitable, generate new economic development opportunities, and attract a new visitor demographic to their farms. There have been an increasing number of hard cider producers as a result, starting with a few producers a few years ago to over 20 today. And Schumer highlighted that number should only continue to grow, as a significant number of apple farmers are interested in adding this popular product, and have sought out advice and expertise from the Cornell Cooperative to do so. So, short story: Changing the federal rules could make it easier financially for orchards to make cider -- which could help provide new revenue to keep orchards going, and provide the rest of us with something interesting to drink. Golden Harvest/Harvest Spirits: Schumer was at Golden Harvest because of its Harvest Spirits distillery, which already makes excellent spirits from apples (and other fruit) -- and it sounds like Harvest Spirits is also interested in getting into the hard cider business, as well. A sample of Nine Pin cider from the tasting at Smith's in Cohoes during the recent AOA Historic Bad Boys, Broads, and Bootleggers tour. Nine Pin -- a startup located in North Albany -- is aiming to have a retail product around the start of 2014. The Farm Cideries bill authorizes the establishment and licensure of farm cideries for the manufacture and sale of cider made from crops grown in New York State and would exclude licensed farm cideries from the sales tax information return filing requirements. In order to obtain a farm cidery license, the hard cider must be made exclusively from apples grown in New York State and no more than 150,000 gallons may be produced annually. Farm cideries will be allowed to offer tastings of and sell not only cider, but also beer, wine, and spirits made from New York products. In addition, because farm cideries may also sell products such as mustards, sauces, jams, jellies, souvenirs, artwork, crafts and other gift items, these businesses, much like farm wineries, will become destination locations that will promote tourism within their communities. Also, the need for apples in the manufacture of New York State labeled cider would create a sustained demand for products from New York's farmers. Hey, you gotta do something with all those apples. 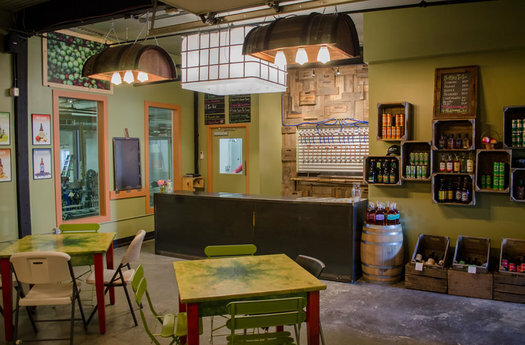 Check it out: There's a meadery in Duanesburg called Helderberg Meadworks. Mead? You know, the alcoholic beverage made from fermented honey, first produced by people thousands of years ago. This is not your average mead.â€‹ It is not flavored, sweetened and processed to appease the masses. My mead is a tribute to the classic, my interpretation of the beverage that the Norse explorers would have made. Fermented to fruition until the yeast perish of their own doing, oak aged and full of natural honey flavor. Perish of their own doing... very Viking. It's delightful. There is a raw and feral quality to it that is completely lacking in any other mead I've tried. It is unrefined, but in exactly the way that works for me. The honey shines through brilliantly, and the floral aroma that Peter is looking for is present both on the nose and in the strong sweetness up front. It isn't a sugar bomb at all, but instead there is raw honey in the initial taste that is tempered by oak notes at the back end. There are a lot of interesting details at his post, it's worth a read. The mead is available at a bunch of local outlets here in the Capital Region. 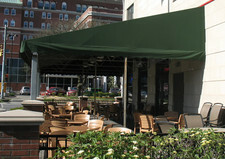 Where to enjoy a beverage on a covered patio? I'm looking for places in Albany where I can enjoy a beverage on a patio; however, because of the inconsistencies of the weather here, I'm looking for places in particular where the patios are covered. What places around town do you suggest? This reminds us that we really need to update the outdoor dining map. (Like, really.) So your suggestions will help not only Lucas (and others), but also help us update the map. Got a suggestion? Please share! Rum was an important commodity in the colonies, produced in a variety of important cities, and Albany was no exception. 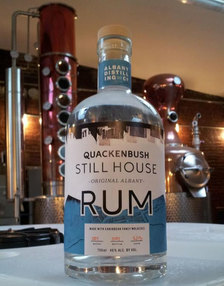 The Quackenbush Still House made rum in what was then Rensselaerswyck, which today encompasses much of downtown Albany. The distillery stood not far from our current front door, just south of us, where a parking garage now resides. Before construction started on the garage, the site was excavated in 2002 (much, much more information can be found here). The original Quackenbush distillery operated from around 1758 to 1810, when the popularity of rum (in Albany, not elsewhere) declined in favor of other spirits (whiskey, most notably). Back then, Caribbean molasses were mixed with water from the Hudson River and allowed to ferment with wild yeasts in huge, open wooden vats (the remains of which can still be seen at the New York State Museum) before being distilled and bottled. Our Original Albany rum follows this tradition, with a recipe from that era and molasses from the Caribbean - but with an updated production line (and different water). 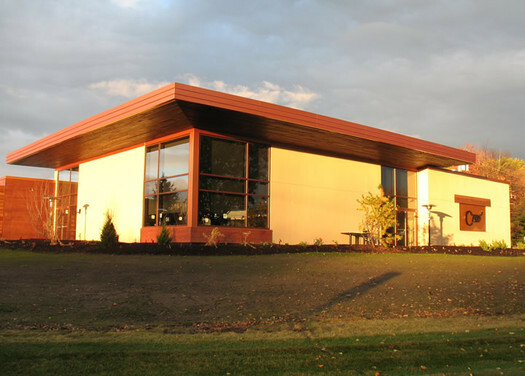 On Saturday the distillery will be open for tours, as well as tastings and sales of ADC's other products. But not the rum. It can't be sold at the distillery because it's not made from New York State products -- so it's only available at retail stores and bars (including the nearby Albany Pump Station and Olde English). There's a also new exhibit at the nearby Albany Visitors Center of artifacts from that 2002 excavation. And at 1 pm on Saturday an archaeologist will be talking about the 18th century distillery. Earlier on AOA: Talking with founders of the Albany Distilling Co.
Excelsior Pub: Empire State beer, wine and spirits. Jason Bowers spent years tending bar at Capital District pubs known for their beer selections -- places like The Lionheart Pub and The Van Dyck. 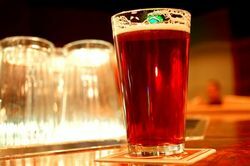 And the longer he tended bar, the more he noticed something about his customers' ordering habits: New York brews like Brooklyn Brown were being ordered as often as big-name imports like England's Newcastle Brown. 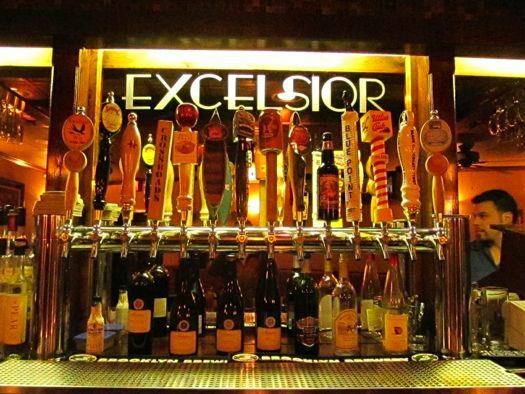 The popularity of New York beers led him to start The Excelsior Pub, a recently opened pub attached to Cafe 217 in Albany that offers only New York beers and wines, and a host of New York spirits. I have a very Irish mouth. That is, I enjoy salt and can handle more than most in my food and drinks, but heat -- not so much. It took me years to be able to eat the pepperoni on my pizza. Then I trained to work my way up from mild to hot salsa and sriracha. Jose Malone's watermelon habanero margarita. Autumn is a great time of year to visit local farms and bring home an amazing harvest of meats, cheeses, and late season veggies. So AOA and Creo are planning to gather some of that harvest for a 5-course farm-to-table dinner on Thursday, October 18. Chef Brian Bowden will create a menu using products from farms around the Capital Region -- and the farmers will be at the dinner to talk about the ingredients in each dish, how they're grown or produced, the thought that goes into them. The whole night should be fun, interesting, and delicious. You'll also have an opportunity to pair the dishes with a handful of New York State wines. In the last nine months John Curtin and Matthew Jager have done a lot of drinking. They've also done a lot of traveling, marketing, researching, tweaking, and distilling -- all in the service of creating a new product. 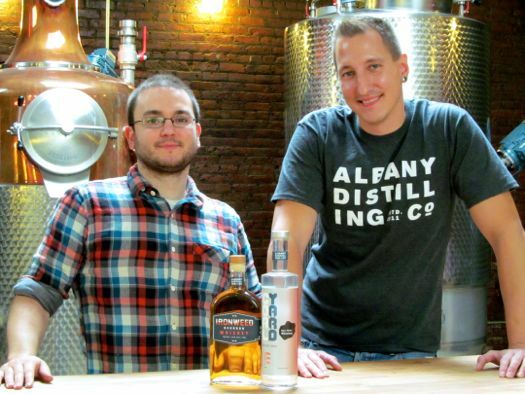 And now, the founders of the Albany Distilling Company are ready to share that product -- a "new make" whiskey -- with the Capital Region. You might remember Matthew and John from earlier this year -- and how their "manly dream of owning a bar" morphed into creating a distillery adjacent to The Albany Pump Station. Now they've got 800 bottles of their Coal Yard "white whiskey" ready to go, a grand opening scheduled for Friday, and plans to put their products on the shelves of bars and liquor stores throughout the Capital Region. We stopped by for a taste and a look at how things are shaping up. Sin has a creamy texture. It's fall and we are in apple country. Huzzah! These are the golden months of life in the Capital Region. While this year's apple crop may have suffered greatly from the mild winter, the early thaw, the spring frosts, hail, and drought, that shouldn't keep you from making the annual pilgrimage to an apple orchard. There are apple cider donuts, of course -- a glorious treat that are best enjoyed as close to the source as possible. But there are some orchards that also offer other, more unusual, products from apples. No, not fall -- pumpkin season. It seems that as soon as the air gets a chill, we begin to see pumpkin everything -- breads, pies, soups, ice creams, beer. You can't toss a gourd without hitting something made with pumpkin. So, what to try first? 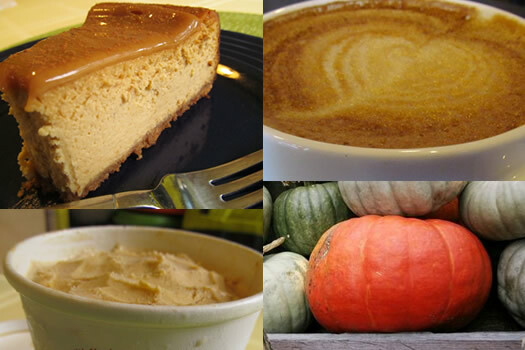 Here are some favorites to maximize your pumpkin enjoyment this fall. Yes, it's as good as it looks. AOA is taking a little R & R this week. While we're enjoying a little summer, we've rounded up a few experts to share their tips for making summer fun simpler. Enjoy! One of our favorite ways to enjoy summer is with a cool cocktail out on the patio/deck/porch/stoop. So we checked in with New World Bistro Bar bartender Nick Ferrandino for help on making something delicious, but a little bit different. 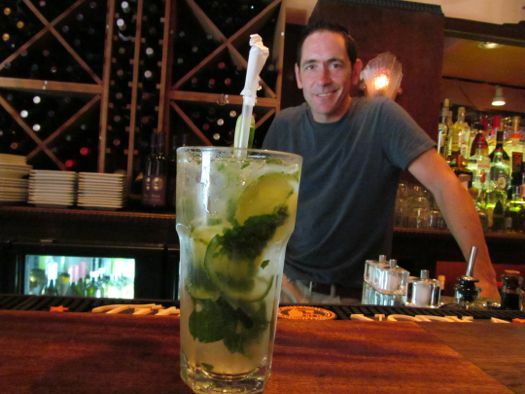 A Mayflower -- made a bit like a mojito, but with different ingredients. An experiment gone awry -- and then right. Let's put the name aside for a moment. What's important to know is that this is the essence of summertime in a glass. Because regardless of what anyone else says, nothing says summer as much as biting into a ripe and juicy peach as the nectar drips down your chin and arm. It's sweeter than the first sweet corn, it's juicier than even the ripest of strawberries, and it's more satisfying than the plumpest tomato. Nobody can be unhappy while eating a perfectly ripe peach. This latest creation from Harvest Spirits in Valatie has been in the works for about a year, but was released just last week. Officially, it's a peach-flavored brandy, and it is indeed packed with the flavor of whole peaches. Calling it "peach flavored" however really does it a disservice, and actually it's not quite a brandy either. Technically, it's a peach infused applejack. But that too doesn't fully get to the heart of this spirit. 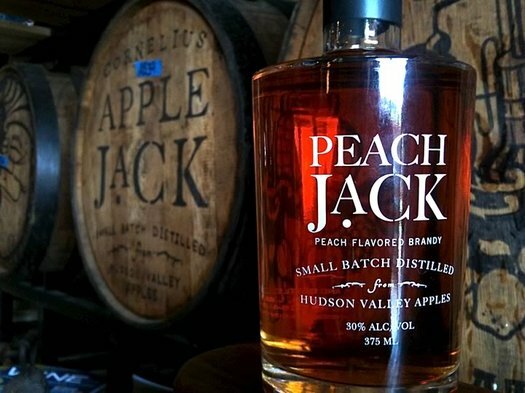 The story of how Peach Jack came into existence begins with an experiment gone awry. Beer enthusiasts will travel a bit to drink at a bar and restaurant, but the most gonzo beer appreciators like to travel to the source. 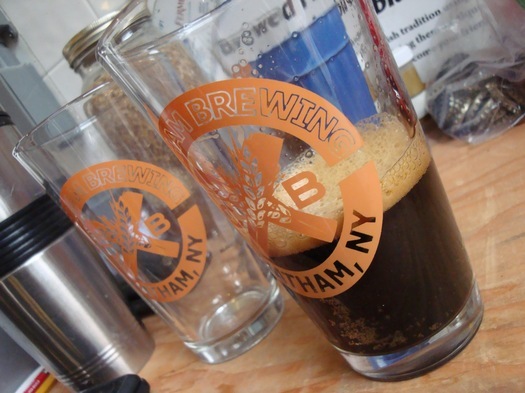 A visit to the TAP New York festival this past April was a reminder of how easy that is to do if you live in the Capital Region. One downside to beer festivals is that an hour into the tastings most palates are ruined, and the rest of the evening is spent coping without peripheral vision as you polka dance with strangers and speak/scream drink orders. 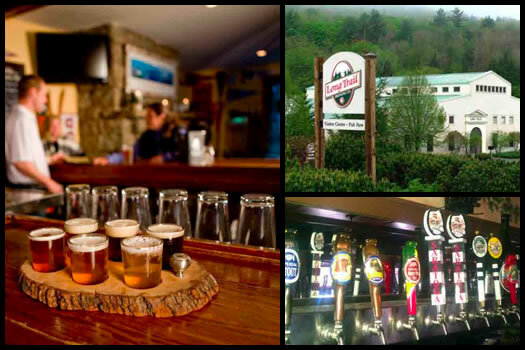 In contrast, brewery tours allow you to taste beer, pair it with food, and learn something about its production. Where to go for happy hour? I'm searching for some good happy hour specials. So hard to find. Perhaps a post on local places w/happy hour specials? A similar topic, Albany-specific, came up about a year and a half ago. 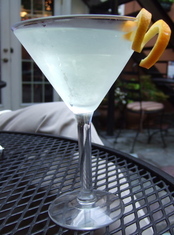 We're curious any good happy hour spot around the Capital Region. Got a suggestion for Joey and other thirsty people? Please share! From the Albany St. Patrick's Day Parade a few years back. Last St. Patrick's Day was a memorable one, to say the least, but for all the wrong reasons. It's a great holiday -- just one better celebrated without destruction, arrests, and bunch of other regrettable behavior. The celebration shouldn't leave an unsightly pockmark on a city and region with a proud Irish history. 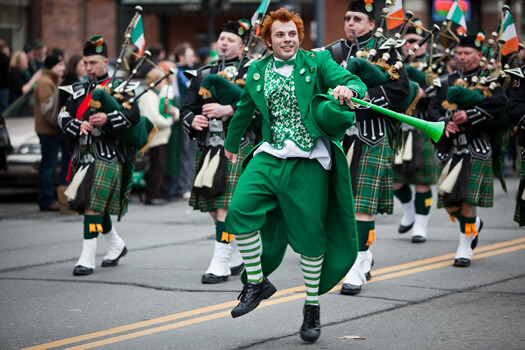 So, to help reset the course of St. Patrick's Day in the Capital Region, here are a bunch of local ways to celebrate the holiday. From music, to food and drink, dance, history, and shopping, use this guide to make the most of the time of year where everyone is Irish, if only for a day. 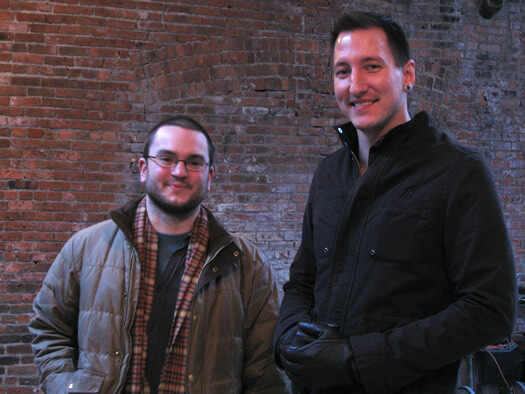 John Curtin and Matthew Jager, founders of the new Albany Distilling Company. Almost every guy thinks about it at one time or another, says Matthew Jager. The "manly dream" of owning a bar. And that's how it all started out. Matthew, who teaches at The College of Saint Rose's business school, and his buddy John Curtin, a leadership trainer and former English teacher, were hanging out at the Albany Pump Station, having a couple of drinks, when one of them said, "Hey, you know what we should do? We should open a bar!" And the other one said, "Yeah!" Eighteen months and $300,000 later, they do not own a bar. Instead, they own a distillery -- The Albany Distilling Company -- in a building right next door to the Albany Pump Station. A few months from now they're hoping to put their white whiskey on the shelves of bars and restaurants around the region. Have they ever made whiskey before? No. But this little hitch doesn't seem to worry them. 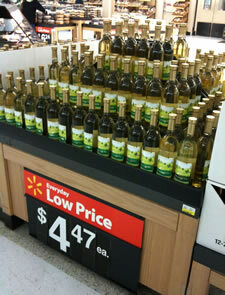 Walmart wine? Did some law get passed that I missed? The longer answer is... uh... tacky. Before you know it summer will be over, people will start gravitating back to the indoors, and all the undergraduates will return to the area's colleges and universities. That means over the next few weeks, some of the establishments that are generally reserved for our seasonal student population are a lot less, shall we say, boisterous. When was the last time you checked out the deck at Sutter's Mill & Mining Co. in Albany? It's huge. But it's not its size that's remarkable. It's the mature trees that are bursting through the surface of the deck to provide patrons with remarkable coverage of cool shade. 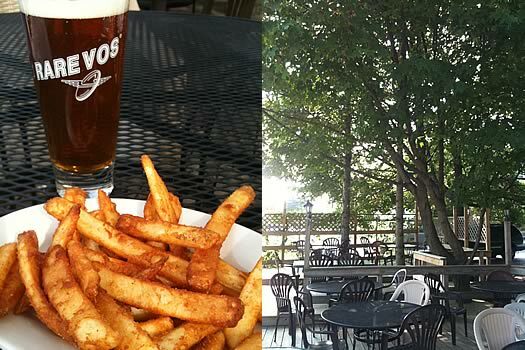 And while I may choose to eat my meals elsewhere, little is better on a hot summer day than sitting in the shade with a cool beer and some crisp fries. For that, Sutter's is a gold mine. Not only do they have Ommegang's Rare Vos on tap, served in a proper glass, but they also make Brew City Fries to go with it. It's a kinder, gentler bull. 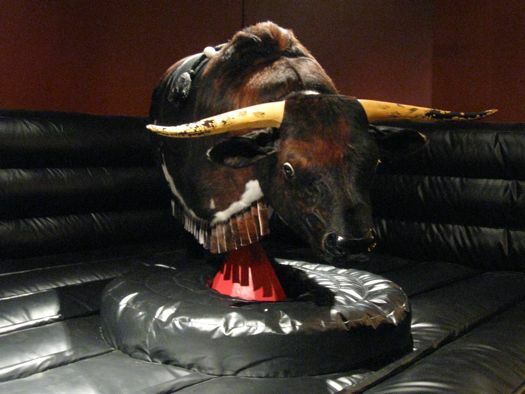 Last night we were home writing, checking email, getting ready for all the things we had to do today -- when it suddenly occurred to us that there was a mechanical bull down the street. What were we doing at home? So we put on our boots and headed over to opening night at City Beer Hall -- the new bar in the old Ogden's building at Howard and Lodge Streets in Albany -- to check the place out and see the bull in action. 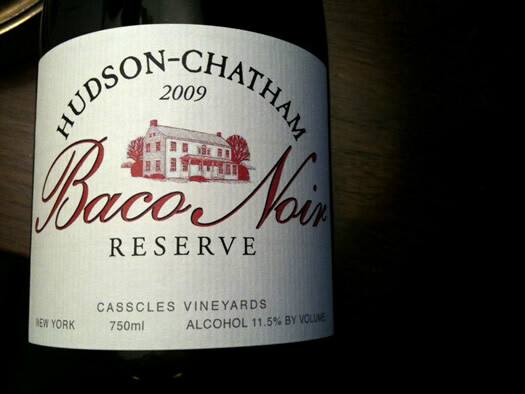 The wine is made from a hybrid that traces its origins back to French viticulturist FranÃ§ois Baco (thus the "Baco") (there's a monument to the guy). The grapes are a very dark color (thus the "noir"). Clearly there is something deeply flawed with the people involved with the Hudson-Chatham winery. Not only because they're making wine from grapes grown just an hour outside of Albany in the heart of apple country -- but they are making wines nobody has ever heard of. Whatever they are afflicted with must be contagious, because I think that's a great idea. I'm gonna send you to a place that doesn't have a street address, and you can buy beer only on Saturdays from 11-2. And no bottles -- only growlers. But don't worry, they'll hook you up. If you're looking for a brew pub or a fancy tasting room, you might be disappointed with Chatham Brewing. If you're looking for good beer, you won't be. So, what are we missing? Updated: The FDA issued warning letters today to the makers of these drinks, indicating the caffeine is an "unsafe food additive." For the last week or so, New York has been buzzing about caffeinated alcoholic beverages such Four Loko. Last week, Chuck Schumer urged the state Liquor Authority to ban the drinks. 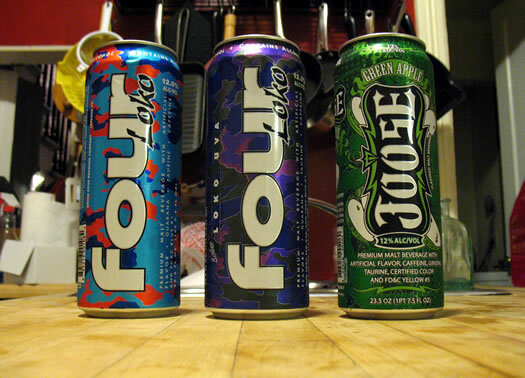 This week, the company that makes Four Loko voluntarily offered to remove the product from New York stores. Yesterday, Schumer announced the FDA would effectively ban the drinks. And then early this morning the company behind Four Loko said it's pulling the caffeine from the drinks. Yet, with all this buzz, we hadn't talked to anyone who had -- you know -- actually tried the stuff. And while we admit, we'd never had a desire to try it before, the idea that we might not be able to made us wonder if we were missing something. So -- while the drinks are still legal-- AOA bought a few, assembled a panel of tasters, and checked them out. Next week is the last event of the season at SPAC-- the big Wine, Food and Ferrari Festival. And the central event is the Grand Tasting on Saturday, September 11th from 1 to 5:30. More that 100 Italian and international wines will be available for sampling, there will be wine and cheese seminars, delicacies from local chefs and lots of Ferraris and other beautiful cars. Not a bad way to kill an afternoon. Over 35 importers of Italian wines and food products will be offering tastings. Tickets to the Grand Tasting are $75 a piece -- but we've got 4 pair to give away. How do you "live rich" in the Capital Region? Maybe it's where you go to splurge or treat yourself when you've got a few extra dollars. Maybe it doesn't cost anything at all but makes you feel like a million bucks. Anyway, tell us what it is and we'll enter you into the drawing. And of course, let us know what's so great about it in case we want to try it too. That part's not a requirement, but it's more fun to share. The deadline to enter is Friday, September 3rd at 8PM. Very, very important: One entry per person. You must answer the question to be eligible. You must post your comment by 8 pm on Friday, September 3rd, 2010. You must include a working email address (that you check regularly) with your comment. The winners will be notified by email by noon on Saturday-- and must respond by 5PM Tuesday, September 7th. Albany Jane game plan involves a few stops. Say you're having anywhere from 5-25 friends, family, or moderately tolerable neighbors over for dinner. What do you do about the bar? Wine, cocktails, aperitifs? 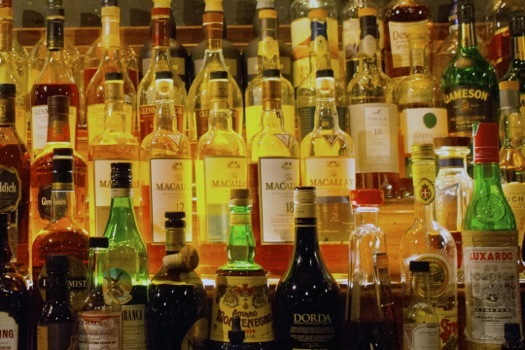 If you can't hire a bartender for the night (and chances are you can't), you're on your own. So here are a few stores that I enjoy patronizing for my party libations. Beer doesn't grow on trees. Plenty of people brew their own beer, but Patrick Boegel takes home brewing a step further. The Delmar home brewer has been crafting his own beers for about ten years -- but last year he decided to start growing his own hops. 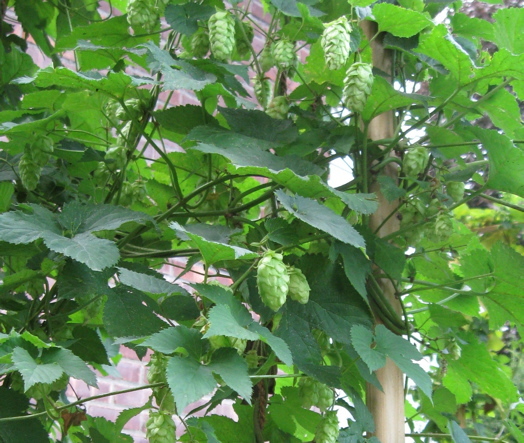 Hops are one of the main component of beer -- and they're a really important part of how the beer tastes, but most home brewers just buy them. So why did Patrick Boegel start growing his own? To get him through the great world hops crisis of 2007. Sunshine, water, gin and bacon -- all high on the list of things that make us happy. Track, schmack. Don't get us wrong, the race course is pretty and can be a lot of fun, but when we can steal a little summer time in Saratoga, we prefer hanging at the Victoria Pool. We've mentioned the pool before, but here's why we like it so much. Better bottle bill bad for beer choice? The "better bottle bill" that was part of the recent New York State budget includes a provision requiring all redeemable bottles sold in the state to carry a special New York barcode. As you might imagine, this hasn't gone over well with bottlers. The cost to produce a state-specific label with a unique UPC and the inventory and shipping challenges that presents, will mean many small breweries will be forced to pull their beers out of the New York market because the cost of doing business in the state will be simply too high. 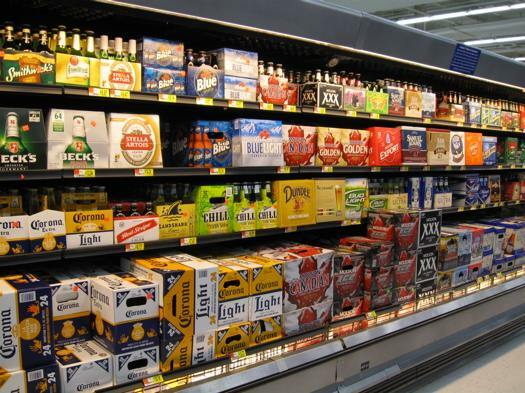 Several brewing companies have already weighed in on this issue with the Governor, explaining they would have no choice but to discontinue distribution of their beers. The complaints about the barcode rule already seem to be getting traction. State legislators have been talking about delaying the rule -- or even dumping it all together. 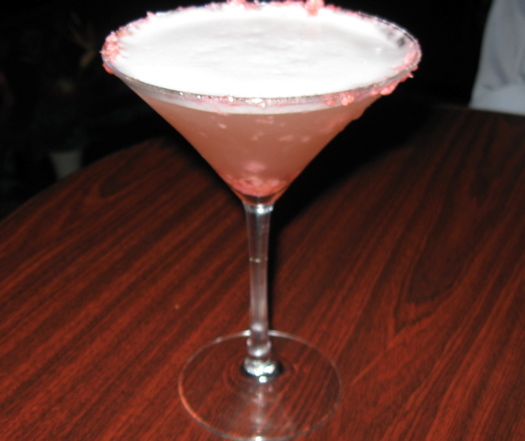 If popular retro-themed activities like adult kickball or spelling bees in the bars just aren't doing it for you -- or if you just want a drink to compliment them -- try the pop rocks cocktail at dp. 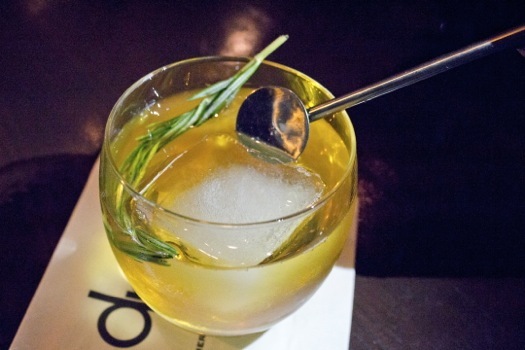 This sweet drink is a slightly more sophisticated way to relive your childhood. Yes, we know your Mom taught you not to drink and write on walls -- but it's OK here. Really. Last week we headed over to Proctor's to see Sweeney Todd and we discovered this fun little makeshift wine bar called Signatures. We were actually a little afraid to go in at first because the spot used to be an exclusive room for Proctor's patrons only. 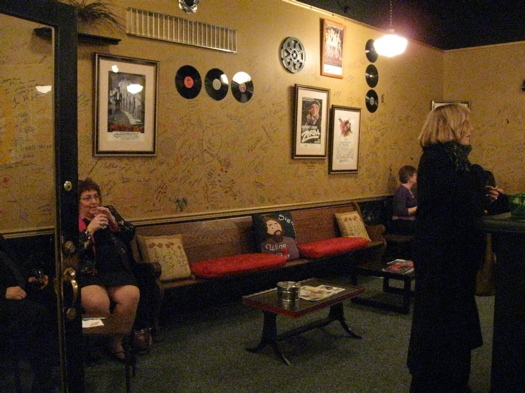 But these days rabble like us can get in, have a drink before a show, and write on the walls. 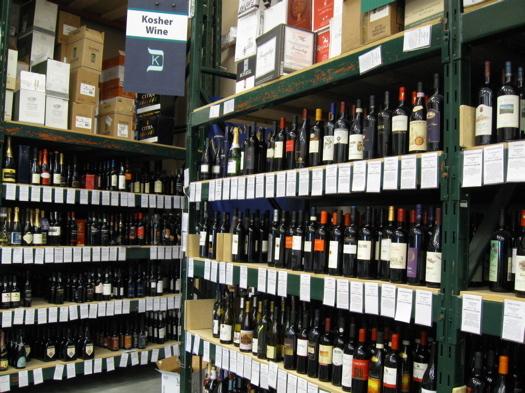 Kosher wines -- there are a lot more than you might think. 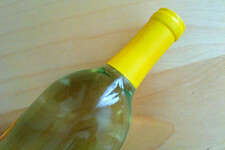 Passover is later this week and I'm in need of a good bottle of wine to bring to a seder. Can we get some leads on where to find something that tastes better than cough syrup aka Mogen David wine? Well, there's always Manischewitz... kidding. Ahem. 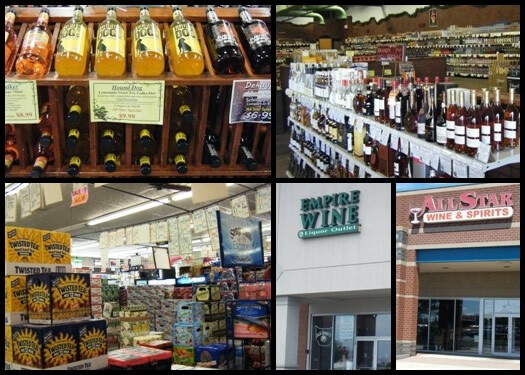 We checked out a few of the local wine shops and liquor stores to get recommendations. Got any other ideas? We'd love for you to share. Ian trained at the Culinary Institute of America in Napa. So we've been known to drink a little wine here at AOA. We admit it. 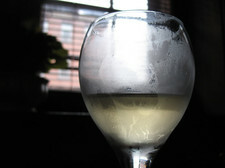 We also, sadly, admit that we have a bit of trouble differentiating our sauvignon blancs from our gewurztraminers. OK, actually, we have trouble once we get past "red or white." Fortunately, that's not a problem for Ian Egas. He's the sommelier at Albany's swanky 677 Prime. Ian took time out from aerating and decanting to share some secrets about buying wine in the Capital Region, what your neighbors are drinking -- and Prime's $3000+ bottle. Who has the best prices on beer? It doesn't grow on trees you know. Maybe you're rooting for the Steelers. Maybe you're rooting for the Cardinals. Maybe you don't so much -- you know -- care. But you will care if there's beer at the Super Bowl party. 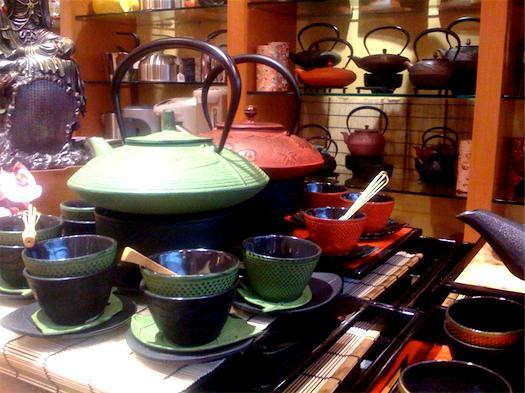 My doc says I should relax and cut down on the caffeine, so I was especially looking forward to visiting Teavana, which just opened this weekend at Crossgates Mall. So what exactly is "a heaven of tea"? Not just beer -- Ommegang beer. On day five of AOA's holiday gift guide -- a little holiday cheer. 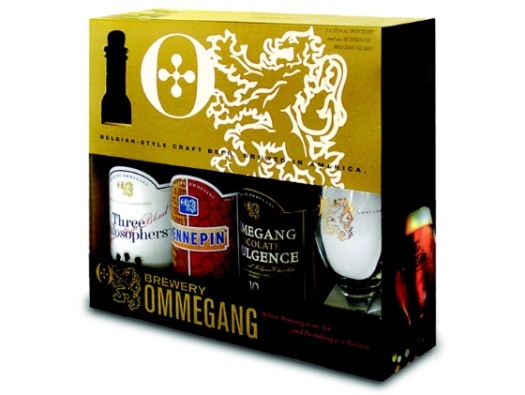 The 2008 gift pack from Cooperstown's Brewery Ommegang: three 750 ml bottles (one Hennepin, one Three Philosophers and one Chocolate Indulgence Stout), plus a special Ommegang glass. 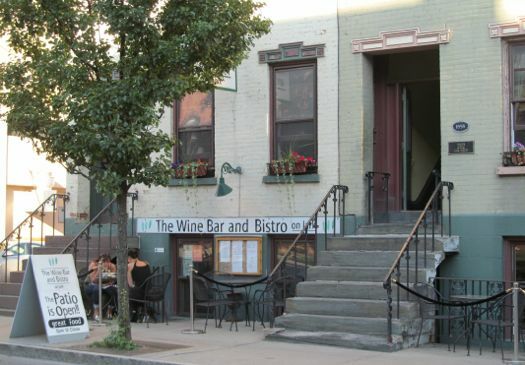 OK Romantics, here's the best place for you to have a drink in the whole entire Capital Region. 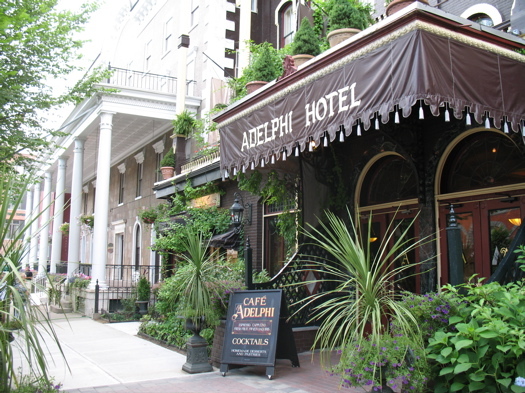 If you haven't been to The Adelphi yet, seriously, you gotta go. Alright, maybe the drink prices are a little steep (from $8 to $10) but they make their signature daiquiris ($9) with fresh cream, so it's tough to drink more than one anyway. And you can practically get drunk on the atmosphere of the place. OK, we're not martini connoisseurs . We've been known to order them shaken, not stirred, straight up with a twist just because we've heard it before. But we're also not fond of sticky fruity drinks with lots of juice and umbrellas in them. 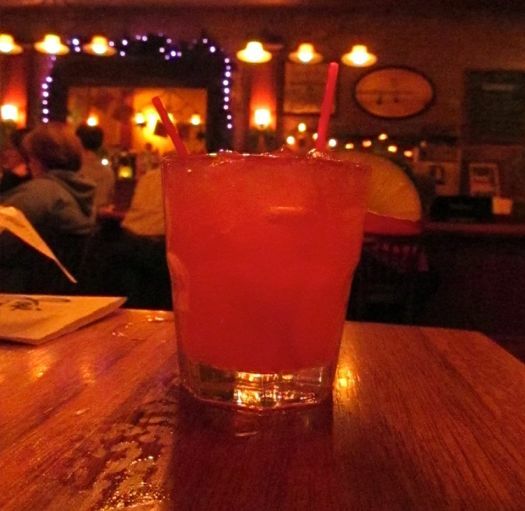 If you like a summer drink that's dry and cool with just a hint of citrus and a few bubbles, you may just find your new favorite cocktail at DeJohn's on Lark Street. That's where we found ours. 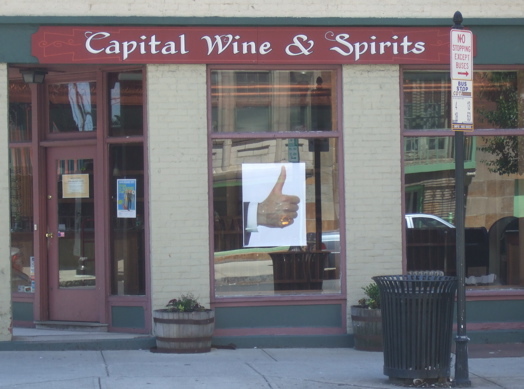 Everyone's excited about the wine store opening--even big giant hands. OK, we're not Bloody Mary connoisseurs or anything, but we know what we like. 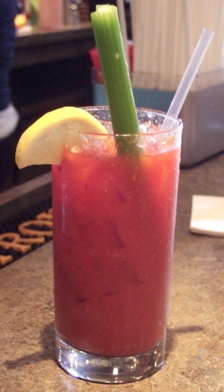 And we like the Bloody Marys at Cafe Madison. Don't ask the bartenders. They won't share the secret to this tomatoey/peppery concoction. They will tell you they start with a basic Bloody Mary mix, but then they have a little fun with it. What we like most about this particular tomatoey/peppery concoction is the consistency. It's thicker than your typical Bloody Mary, with just the right amount of horseradish, pepper, lemon and, of course, vodka. Not too spicy -- but spicy enough. Sip one on a Sunday morning and you may find yourself in some powerful company. We're not naming names, but apparently at least one very tan Albany celeb is a fan.